There’s no such thing as a “normal” labor or delivery experience. Every woman has a totally unique experience that’s affected by a litany of uncontrollable factors. However, for every element that’s outside of your sphere of influence, there are plenty of factors that you do have a say over. 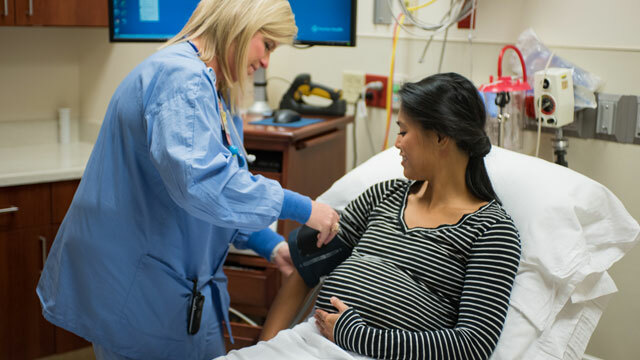 By making it a point to carefully address each of these issues, you can give yourself a far greater chance of enjoying a safe, healthy labor and delivery process. There’s never been a safer time or place to deliver a baby than in 21st century America. Advances in medicine – as well as an increased understanding of how the female body works during childbirth – have made it extremely safe. However, there can still be issues for both mother and child. For the mother, there are always issues that could potentially come with labor and delivery. These include infections, uterine ruptures, excessive bleeding, and a host of other issues. According to Salvi, Schostok & Pritchard P.C., it’s not just the mother who needs to be carefully monitored during labor and delivery. Birth injuries don’t necessarily happen all the time, but they do occur. Some of the most common birth injuries for babies include collarbone fractures, brachial plexus injuries, spinal cord injuries, perinatal asphyxia, cerebral palsy, facial nerve palsy, intracranial hemorrhage, and extracranial injuries. One of the best things for mother and baby is for the mother to stick to a healthy diet throughout the pregnancy – especially in the final trimester before delivery. In addition to consuming plenty of fruits and veggies, starchy foods, protein, and dairy, be sure to avoid alcohol and other types of stimulants. It’s also advised to consume at least six to eight glasses of water per day. It might sound lame, but birthing courses are actually extremely helpful and practical – especially if this is your first child. These classes walk you through a variety of birthing options and techniques, while giving you a chance to ask questions and be surrounded by others who are going through the same experiences as you. While it won’t always work out that your preferred doctor is on call when it’s time to deliver, you have the right to choose your doctor ahead of time. Select one who has a good track record, plenty of referrals, and a bedside manner that makes you comfortable. Getting plenty of sleep is very important to staying healthy and encouraging proper development of your baby. As your due date arrives, make sure you’re turning the lights off a little earlier and resting up. Unless your doctor recommends it for a particular reason, it’s best to avoid ultrasounds late in the third trimester and to relax as your due date nudges closer. It’s only natural to want to hear and read birthing stories from other mothers. And while there are some pros to educating yourself on what happens during delivery, there are also some risks that stem from too much exposure. Too many horror stories will lead you to believe that something will go wrong in your labor or delivery, which could create unnecessary fear, anxiety, and stress. Instead, choose to subscribe to the theory of positive thinking. It’s always good to have some birthing tricks and techniques up your sleeve. From different positions and breathing techniques to relaxation methods and coping mechanisms, practice will serve you well. When it comes to labor and delivery, you need to push aside any expectations or preconceived notions you have. Whether this is your first child or your fifth, each birthing experience is unique. By treating them as individual experiences, you can make smart, healthy choices that increase your chances of having a safe delivery.